Data entry jobs are often reported as a scam and its difficult to find out the legit online data entry works. As we know the internet is flooded with thousands of data entry websites but aren’t they legit? In this article, we gonna discuss some of the legit online data entry works that you can work online/offline. You can also check the freelance marketplace for legit data entry jobs. Whenever a website asks you to pay the registration fee to proceed data entry works, don’t ever pay them, they are SCAM. Legitimate data entry jobs are hard to find and only a few seem to be legit. The process of converting or processing the data from one format to another. There are many categories under data entry jobs. Data Processing, Data collection, Data rearranging, Data analysis. Requirements For Online Data Entry Jobs? The websites listed below provide online/offline data entry jobs without registration fees/without any investment. Before joining read the instructions carefully and also check whether your country is listed on the website. If you are looking to boost your income staying at home we recommend joining audio transcription jobs. SmartCrowd is also called as VirtualBee, they are looking for home-based workers who can do data entry works for their clients.SmartCrowd pays $6/hr and you can request payout on weekdays. Based on your skills data entry projects will be assigned to you. Xerox is a popular platform for data entry works, they sell print and digital document solutions and document technology products in more than 160 countries. MTurk is a part of Amazon services, you can find tons of data entry works in MTurk.It’s free to join and you may require taking qualification test in order to do the tasks. If you are a beginner in data entry we recommend you to join Amazon MTurk. Most of the people may know about microworkers, you will be getting paid for doing micro tasks. You can make some extra bucks from microworkers. Microworkers is accepting people from all over the world. You need to a verified PayPal to join Microwrokers. If you are interested in data indexing, data analyzing, data verification, content writing, article writing you can go with Clickworkers. You will be getting paid for each completed tasks at the same time. Lionbridge is very like to Clickworker, you can find data entry works and you will be paid through PayPal.Lionbridge is US based and accepting people worldwide. Zirtual: Zirtual provides various jobs, including data entry jobs. Vitac: Vitac provides various data entry works. Capital Typing: If you are looking for long-term projects in data entry go with Capital Typing. Data Plus: You can take contract data entry with Data Plus. Short Task: Short Tasks offers data entry jobs. Tdec: Offers data entry jobs with free training. Always remember, some websites may request you to pay for the service or for the kit, don’t ever pay. Before joining any online jobs always do a deep research or check the review of the website. Captcha entry work is also kind of data entry jobs which you can try today to make extra money online. Hope this article helps you to find some of the legitimate online data entry works, keep visiting we will update more legit data entry jobs. Also, check best chat support online jobs. If you have any thoughts and suggestions about data entry jobs drop your comments below. I am new joiner on this site. please suggest best data entry job , which is convenient, trusted and well payable. 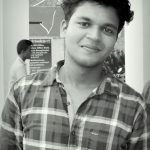 Hello i am new joining this app..and please give me a little info which online job entry is the best.